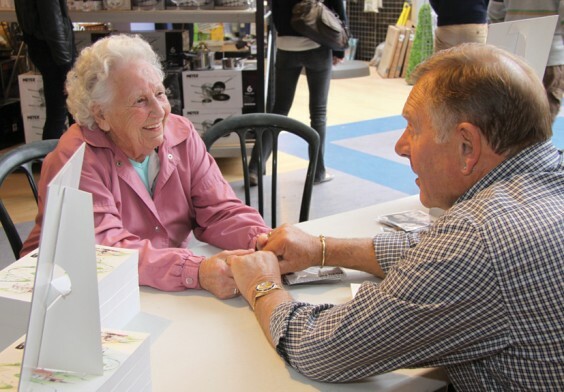 Doug Clark met many old friends and employees while signing copies of his biography, including Dot Kambilis (above), whom Village motorists may recognise from her pump duties at the petrol station at the summit of the Lickeys, where she still works. The retired Bromsgrove businessman spent a weekend at shopping and garden centres in the area promoting Belt and Braces, which is available at Webbs, Wychbold and West Hagley, for £11.99. Proceeds from the first 1,000 books will be donated to Chaddesley Corbett Endowed Primary School.